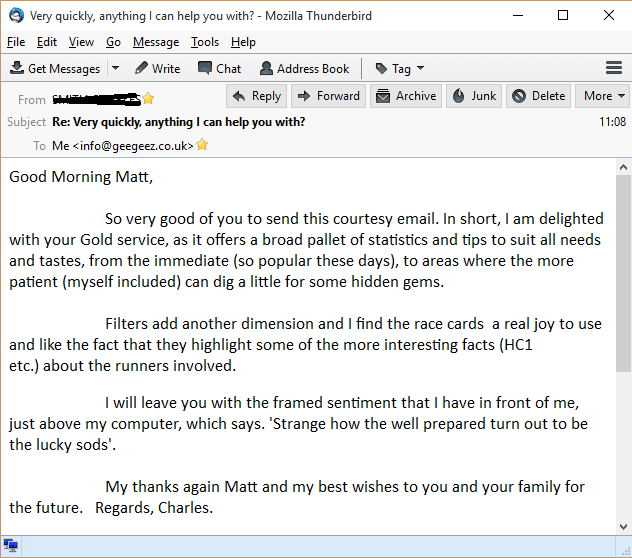 My experience of Geegeez Gold is one of revelation. It has enabled me to make more informed and sensible betting decisions. 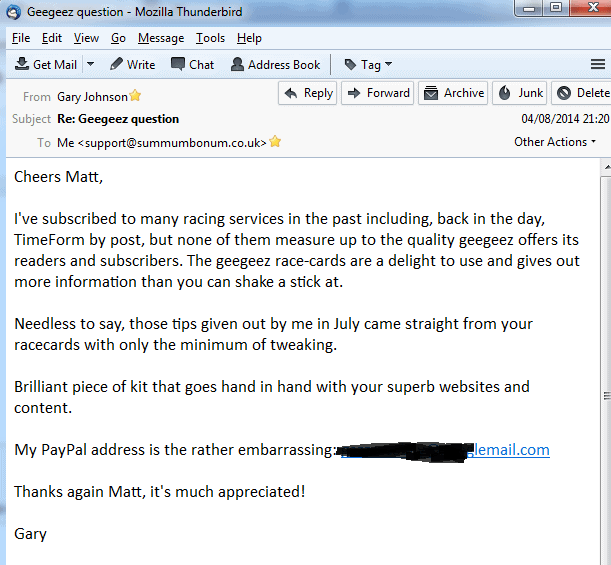 I more or less stumbled upon Geegeez a few years ago and to be honest was a bit wary of joining as I have been let down by previous experiences with horse racing paraphernalia. But Geegeez is brilliant. Anybody hesitating in joining need not worry because you will not be let down. 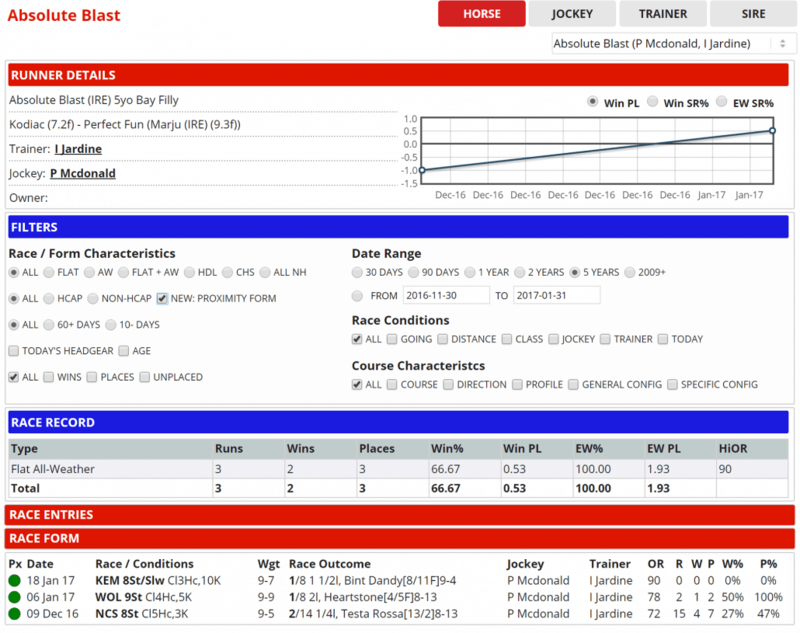 First class horse racing service providing excellent information for all uk and Irish racing. It's so easy to access, with a huge array of statistics available ranging from draw and pace through to going, class, course and distance info. No other site is even close to the level of information available. 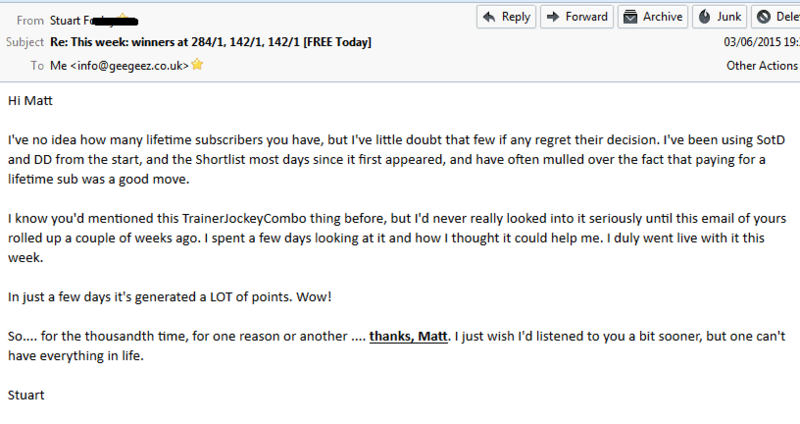 Been a Gold member for a long while now, Geegeez is my first point of call every morning. 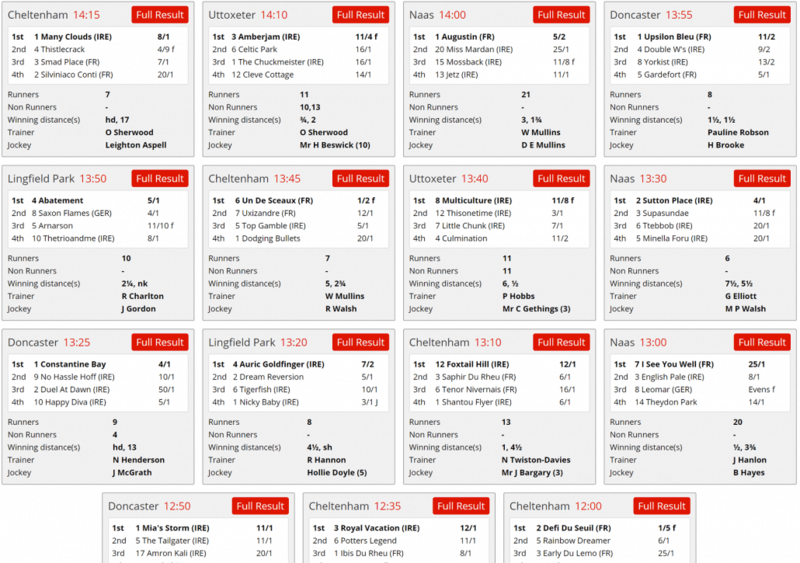 The racecards and information available are simply outstanding. 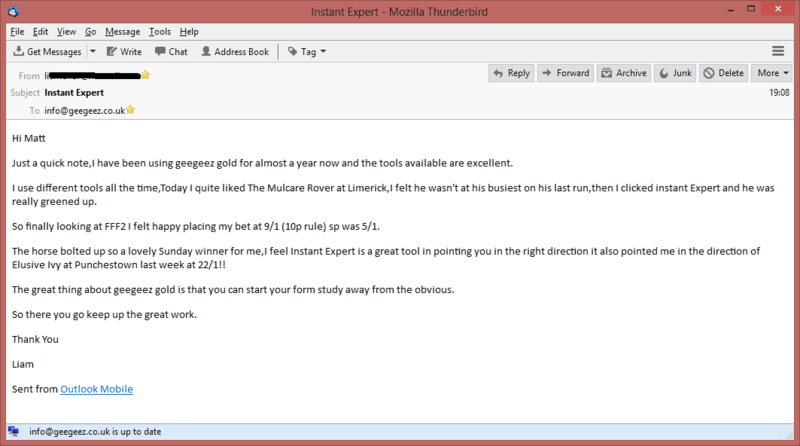 Instant Expert is quite simply the most time-saving tool on the market, in my opinion. 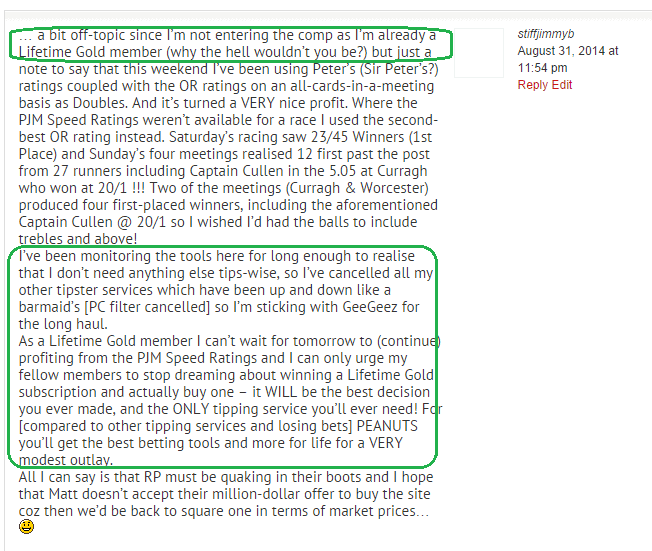 I've noticed some trying to copy the concept but they don't come close to Geegeez. My name is Matt Bisogno, and I’m a keen horse racing fan, punter, and race horse owner. I also sit on the respected Horseracing Bettors’ Forum, a group working to improve the appeal of betting on our great sport. 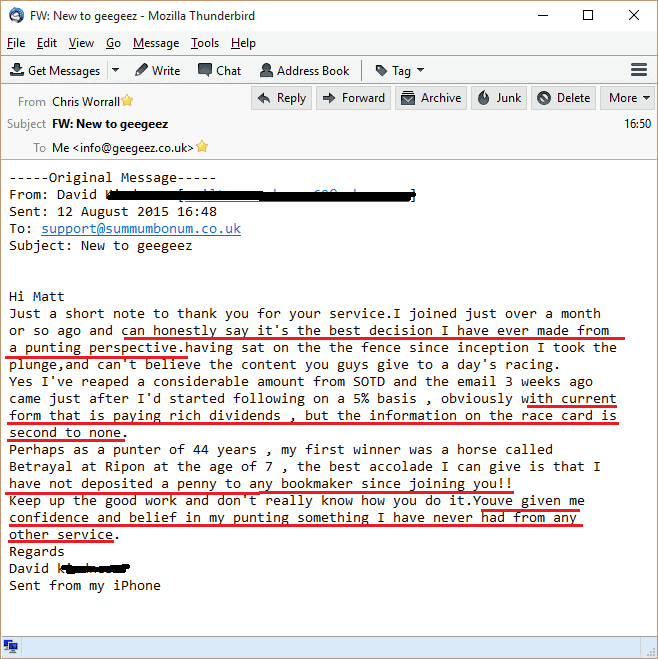 I’ve been building my reputation online since 2006, firstly with a site called NagNagNag and, since 2008, at geegeez.co.uk. Back when I started online, ten years ago, my betting was hamstrung by the information available to me. I mean, have a look at this pretty standard image of a race card from a daily newspaper. What does it actually tell us? Next to nothing. In fact, if anything it is designed to mislead or, at best, to lead us to the most obvious horse with the most deflated market price. Some people are still trying to win using these! The result of that? Certain losses in the mid- to long run. The worst thing is that this image doesn't come from ten years ago, but from right now. Here, we have a little ‘blurb’ on each runner, and a star rating is provided. But guess what? The five star pick is the short-priced favourite, and the three four star horses are the next three in the betting. Erm, great, thanks. For nothing. Then there’s the trade paper. Actually, don’t get me started on the trade paper. All I’ll say is that a newspaper and supporting website whose primary source of income is derived from bookmaker advertising is probably not invested in providing punters with the best chance of winning. In the end, my frustration with these sub-standard offerings got the better of me. I started to subscribe to various online tools. I used one site for trainer statistics, another for pace and run style information, and a third for the actual form. The cost of these subscriptions came to a whopping £206 a month. That’s £2,472 a year. Before I’d even had a bet! 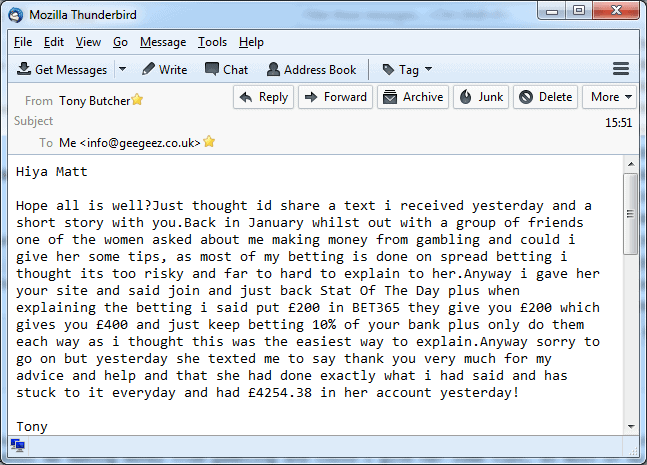 Now don’t get me wrong, some of that lowdown was golden and the money I invested on form tools enabled me to make more of a profit from my horse racing betting. But I was frustrated by the fact that I had to pay so much… and that others would never be able to afford the sort of information I had. Actually, if you’re new to geegeez.co.uk, you’d be forgiven for thinking that. 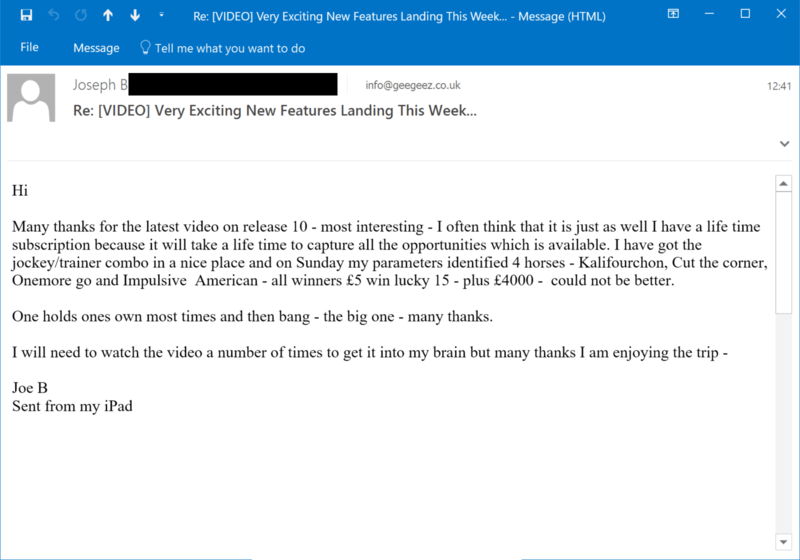 Those familiar with the site will know that my ethos has always been that betting should be fun and profitable, and that the two are most certainly not mutually exclusive. I’ve also always believed that the best information does not necessarily have to be the most expensive. (And that hasn't always sat well with some service providers in the racing space, who would have you believe that they employ an army of highly skilled race readers picking up every nuance of the action. They haven't, and they don't). Anyway, in late 2012, I decided enough was enough. I would build my own race cards and form tools, and early in 2013 the mission began. As you can imagine, such a project is no small undertaking, and it would only be worth the time and effort if we could build the very best race cards in Britain. 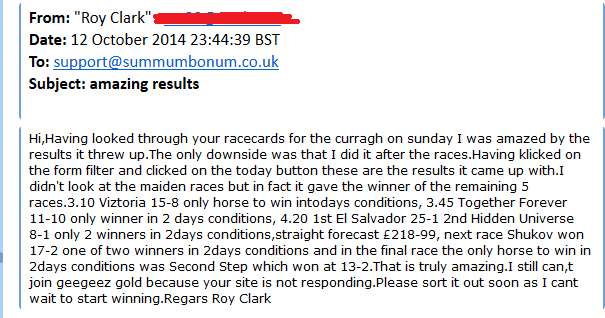 But racecards are just the tip of the iceberg. In fact, they’re not my first port of call in my form study. They’re not even the second! You see, I believe that the traditional way of looking at form – a string of numbers to the left of a horse’s name, and the presentation of trainer and jockey to its right – leads us to ‘top of the market’ conclusions. In other words, when we see a horse with a ‘1’ for its last run, and when that horse is trained by a top trainer and ridden by a top rider, it becomes hard for us to see it being beaten. And it may not be beaten. Sadly, though, the price is almost always shorter than it should be in such cases. In fact, most last time winners are over-bet. 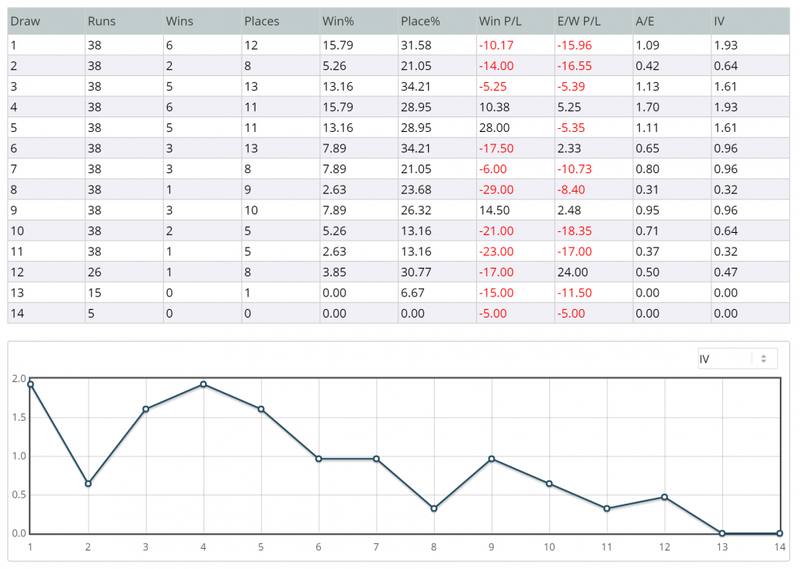 Most runners from top stables are over-bet, and most horses piloted by top jockeys are over-bet. Putting those three together means it is impossible to win in the long-term. Think I'm wrong? 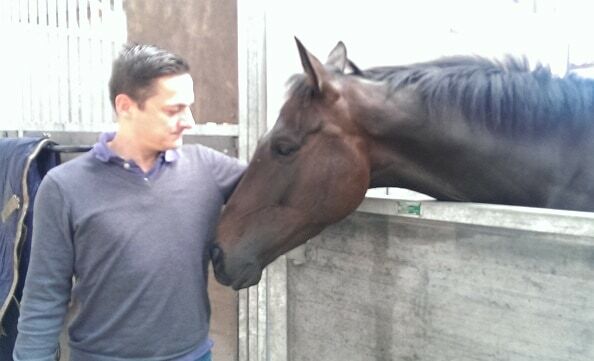 In the 18 months from the beginning of 2015, 18,870 last time out winners raced in UK and Ireland. 15,384 were beaten (81.53%) and the return on investment was -19.27%. Or -3,635.91 points. Ouch. Nope, that's just not a good way to bet. And yet, these are the sort of situations that people reading newspaper or racetrack racecards are pushed towards day in, day out. They are, in effect, being forced into very muggy bets. That sort of setup has to be all wrong, doesn’t it? The key to making a profit from racing – and to having fun whilst doing it – is to look beyond the obvious. I don’t mean randomly picking 20/1 shots in the blind hope of hitting the bullseye. Rather, I’m talking about considering ALL relevant form in a race: the course, distance, going, and class form for every horse in the race. Sounds like hard work, right? It certainly used to be. Before we redefined it. 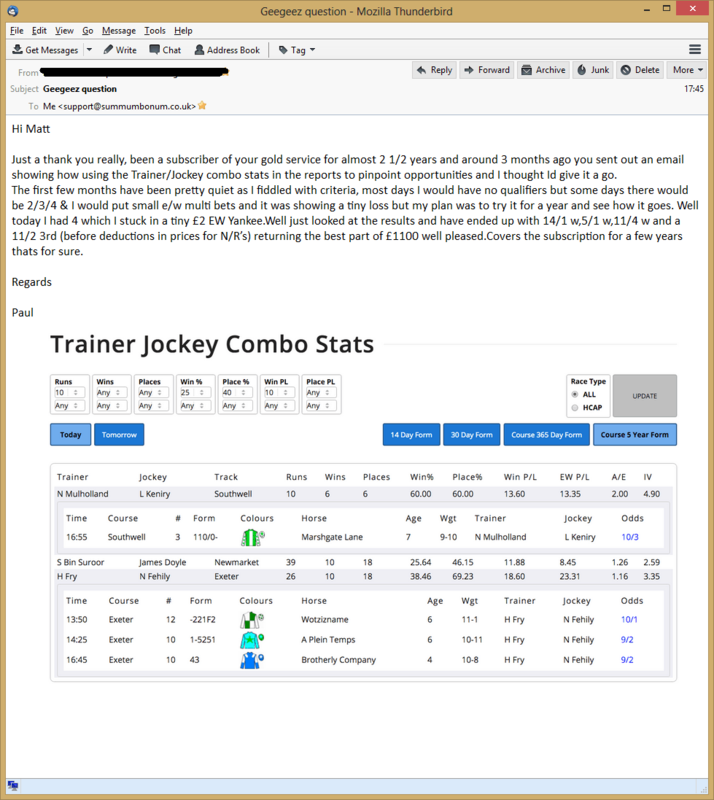 Geegeez Gold, the totally imaginative (ahem) name I gave our racecards and form tools, has a range of tools and visualisations designed to give you, the punter, more knowledge in less time. Lots of information, but the essence can be consumed in seconds. 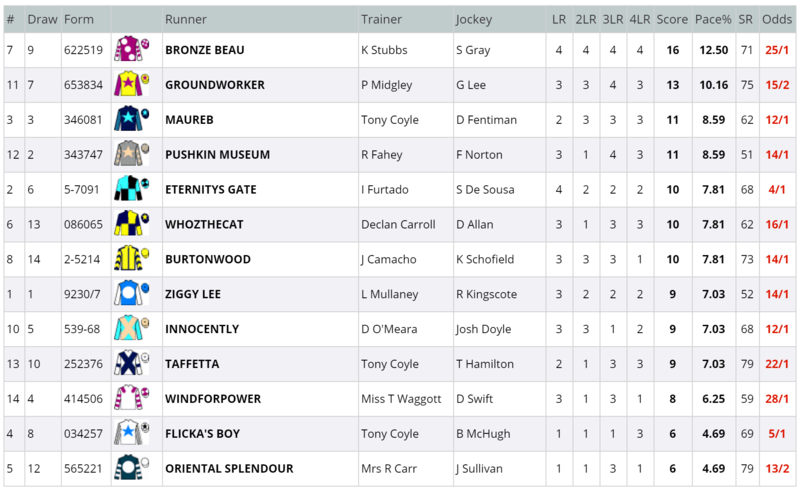 The image above shows the entire relevant form history for all runners in this Group 2 contest from the Curragh. The view displays place form in this case, and is ordered by place percent in the class. To understand the Instant Expert, you simply need to know that green is good, amber is all right, and red is not so hot. Grey? No data (i.e. a horse hasn't run under that condition before). 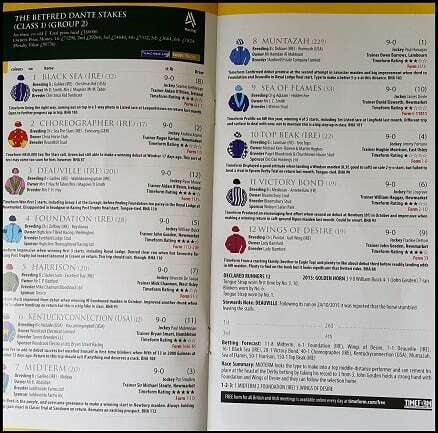 As you can see from the image above, in this race there were three horses with ‘line of green’ profiles (or nearly in the case of Sovereign Debt). The result? 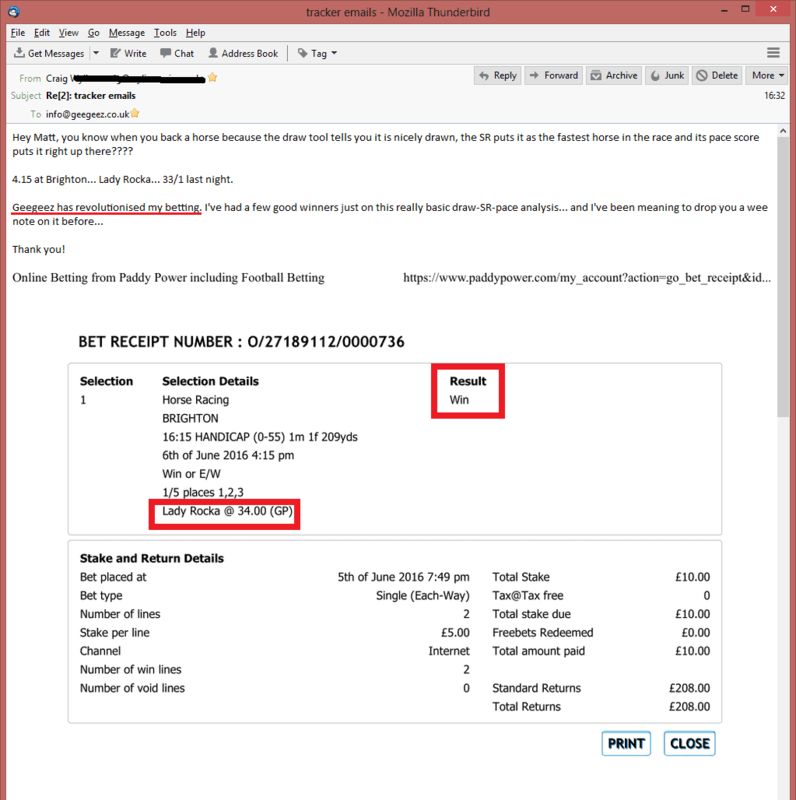 Have *you* backed any 1,576/1 winners lately? Incredibly the trifecta paid over 1,575/1 on this race. Even if you’d ‘only’ backed the winner, he paid almost 25/1. 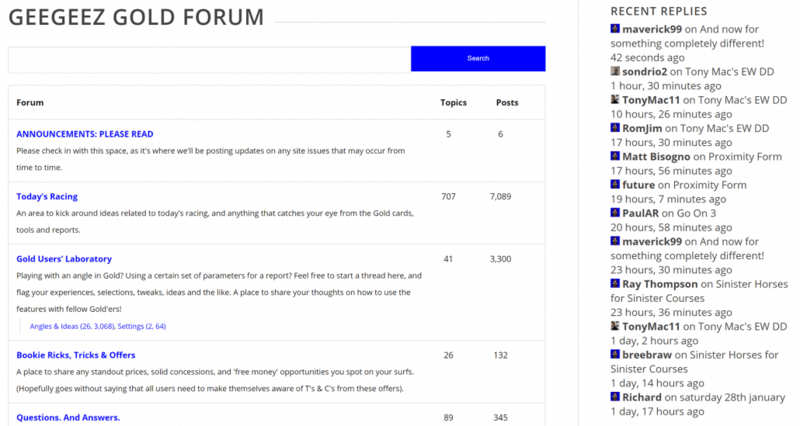 This is by no means a rarity for Instant Expert, a form view that is the first port of call for many Gold subscribers every day. Its beauty, aside from its ability to read a race better than the market more often than not, is in the speed with which an opinion can be formed. The horses in the race above had collectively run 159 times in Britain and Ireland previously. The entire relevant form history is distilled into that first image. The key here is that we are looking at relevant form. Who cares if a horse is three from three at a mile and a quarter if today’s contest is seven furlongs? Or if a horse has won twice on heavy ground if today’s race is on good to firm? It’s not really relevant. Often it is misleading, and often it is what determines the favourite in a race, especially if those runs were in the recent form history. Instant Expert is a snapshot overview offering X-ray insight into the form book. And for many Gold users, that is as deep as they want – and need – to go. But for those of us who like to delve a little further, there is so much more in this Swiss Army Knife of a formbook. Our 'deep dive' form tool is called Full Form Filter. 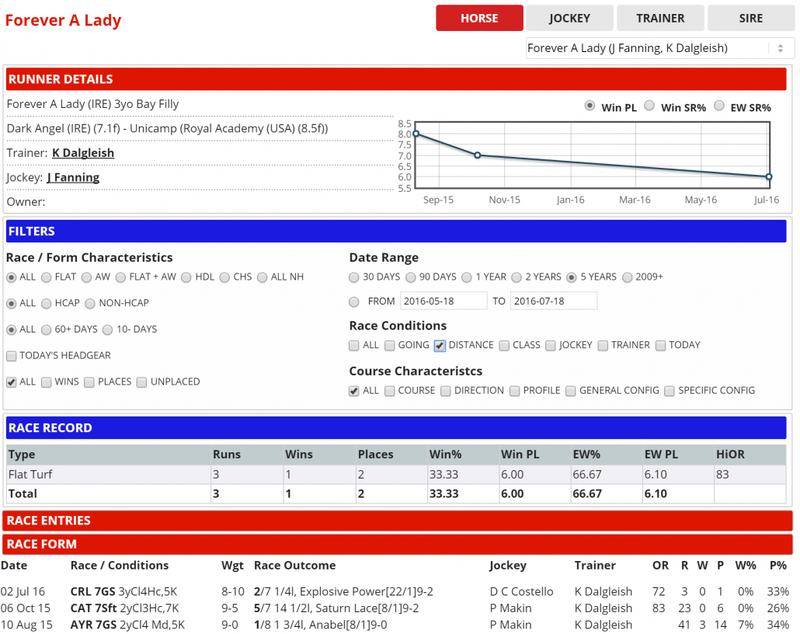 As well as displaying the full UK and Irish form history of horses, trainers, jockeys and sires, users can - as the name suggests - also filter the overall form by any of a broad array of options. 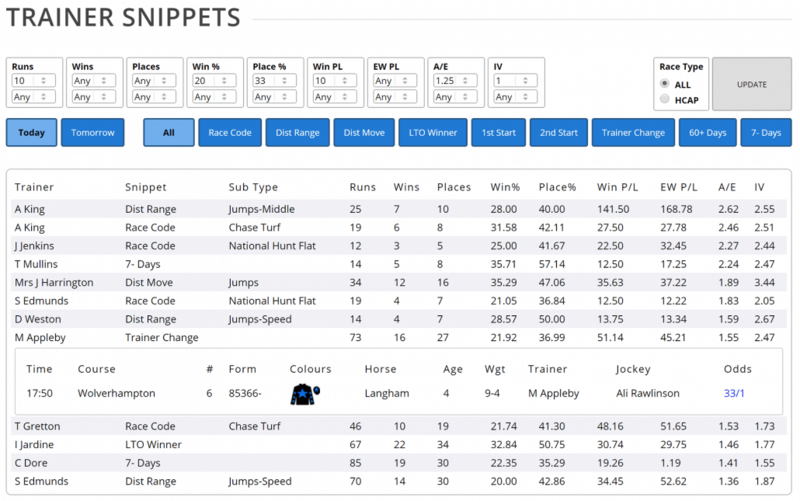 This is a highly configurable tool for those with more time, or to make some final checks on horses shortlisted by Instant Expert. And there’s still more, much more, to help find winners. Races on the flat are often determined almost before the start by the stall positions horses are allocated. Gold’s industry-leading draw tool allows users to search by different going ranges, field sizes, and by advertised (i.e. racecard number) and actual (i.e. after accounting for non-runners) draw. Results can be displayed by win or place percentage, by impact value or by actual vs expected. (These last two are measures of statistical significance where are score greater than 1.0 implies a better than average performance). If that all seems very complicated, it’s not. And, importantly, you don’t need to use this to start making your betting on racing pay. The most overlooked angle in British racing? One angle which I’d really encourage you to get to grips with, though, is that of pace. There are countries in the world, including America, where no self-respecting punter would ever open their wallet to wager without understanding how the race is likely to pan out. Gold’s pace tab is incredibly revealing in this regard, and has recently undergone a significant upgrade. In fact, it still does look like that. In the above example, we can see that Bronze Beau, with a score of 16 comprised of four 4’s, has led in each of his last four races. At the other end of the spectrum, Flicka’s Boy and Oriental Splendour have both been held up in three of their last four races. Understanding how the pace is likely to be – individual pace horses, the overall shape of the race, and where in the draw the pace is located – is super-important. But putting it into historical context is also highly valuable. 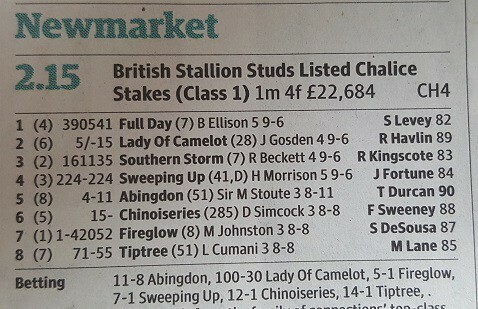 What I mean is that it’s all very well knowing that Bronze Beau likes to lead, but that may not help us if horses that lead at the track where this race is run (Beverley, in this example) have a poor historical record. We can clearly see that horses which led over five furlongs at Beverley have an incredible 25% win record, and that more than half of them make the frame. In that context, Bronze Beau’s habit of making the running looks a lot more interesting! And, as you can see, you don’t need to be Einstein to figure this out. Everything is colour coded in the traffic light format, with further detail both in the blobs and in the table directly underneath. I don’t ever bet a race without checking this information, and nor should you. It is that crucial. These are the main building blocks of the Gold formbook, but there is still a lot more. For instance, we have been developing a suite of reports to help you hone in on the day’s under-the-radar contenders. These range from the fairly basic – like trainer and jockey (and trainer/jockey combination) form – to the less obvious, such as Trainer Change, Trainer Handicap 1st Run, and Trainer 2yo First Time. 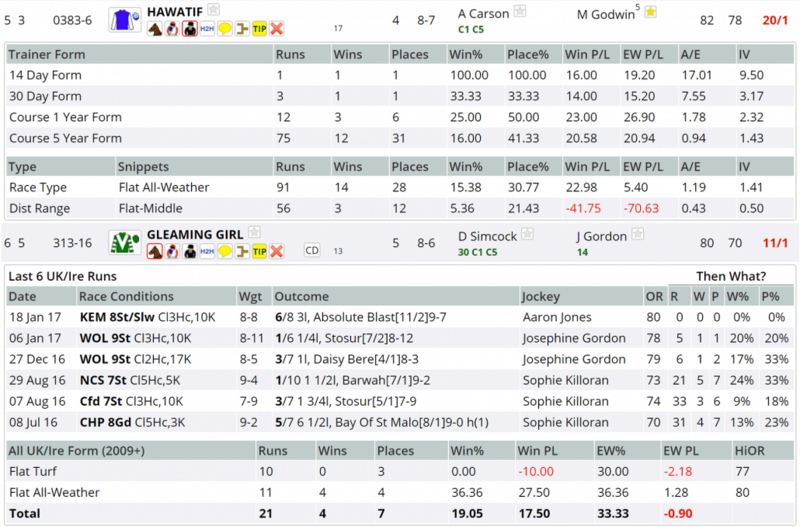 As you can see, Geegeez Gold is a different kind of race card and form tool: designed and built by punters for punters. Since we started back in early 2013, we’ve welcomed 12,682 users - and counting - to our racecards. For many, it has revolutionised their betting. 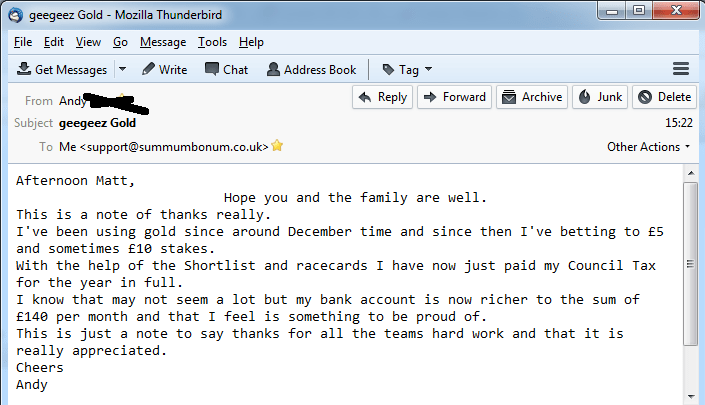 Only been a member of Geegeez Gold for a matter of weeks. I never seem to have much time so I go through the cards using the Instant Expert, Pace and Draw tabs to come up with a short list of selections. This list is usually about four or five horses on a typical day. Then I go on to the Full Form for those races and my list comes down to about one or two horses a day (or none!). I also use the Shortlist report every day. Just wish I had more time but I must be doing something right as my betting bank is growing steadily. My biggest winner was a 28/1 shot at Ripon on 4th July although I had taken the early price of 20/1 not expecting it to drift! 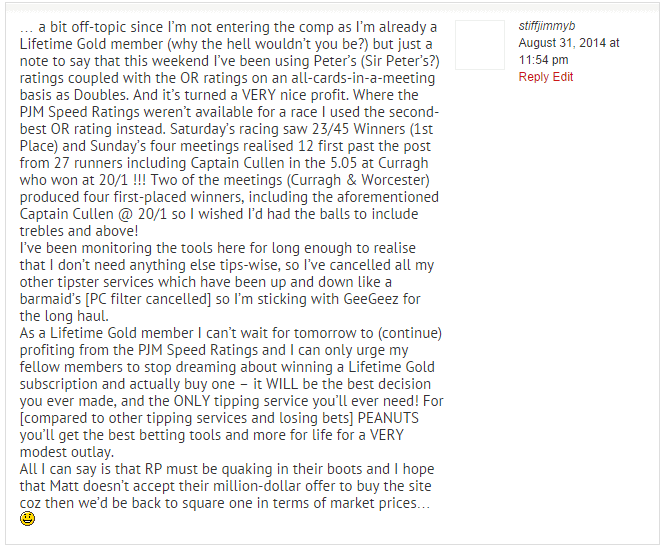 My only regret is not finding Geegeez Gold earlier. Keep up the great work. I use Gold for my in-running trades and bets. The pace tab is the feature I use the most. It's great for flagging up front runners, hold up types, etc. 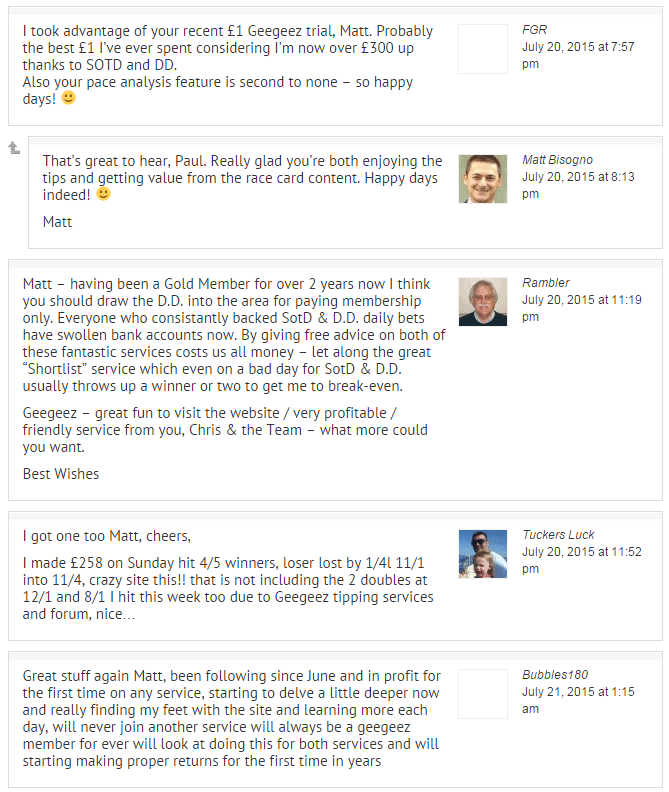 Together with the speed ratings, draw stats, and the profitable running style data, it is a very powerful tool for finding good inplay trades. I can get my selections quite quickly and all the information is presented in a way that is easy to understand. All the information I need is on Gold so no more wasting time jumping from site to site. 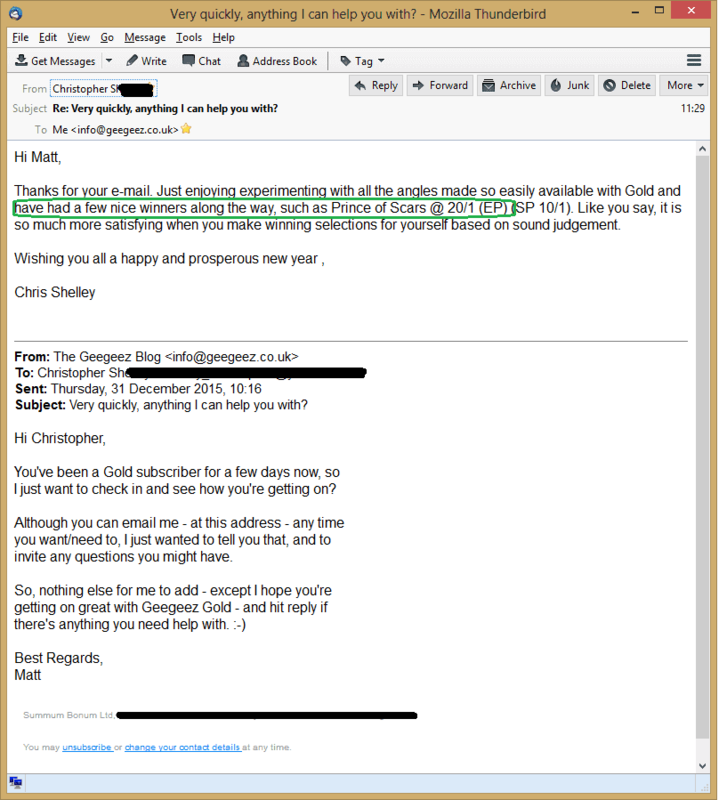 Been a Geegeez Gold member for nearly three years. 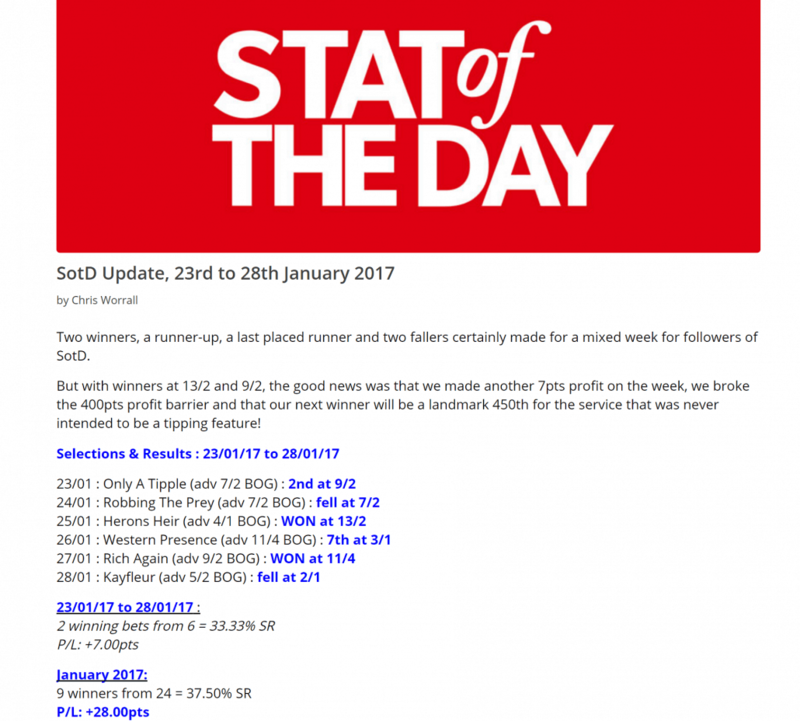 I have been regularly following the Stat of the Day daily tip (which is my favourite aspect of Geegeez Gold) since I joined; and without placing huge bets, I am currently around £2500 in profit since the time I began! 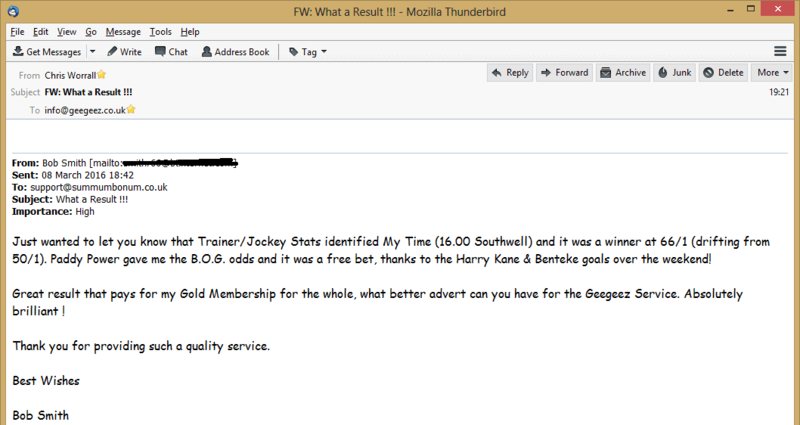 The other aspect of Geegeez Gold which I really appreciate is the ability to correspond with the guys who run the site! They are a highly motivated team who are always keen to improve their service; they are invariably happy to listen and respond to any comments, gripes or suggestions which I have made over the time I have been with them. This sort of service is increasingly hard to find these days. 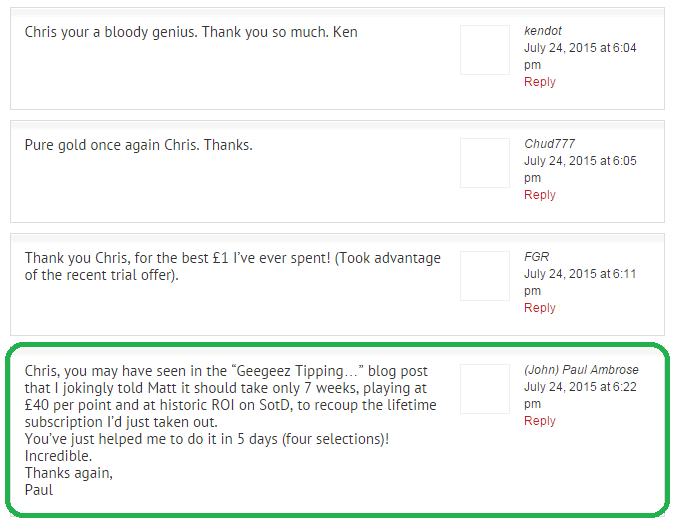 When you join Geegeez Gold, I think you will quickly find yourself wondering why you hadn't done so before! Brilliant service, perhaps the best move I have made is subscribing. 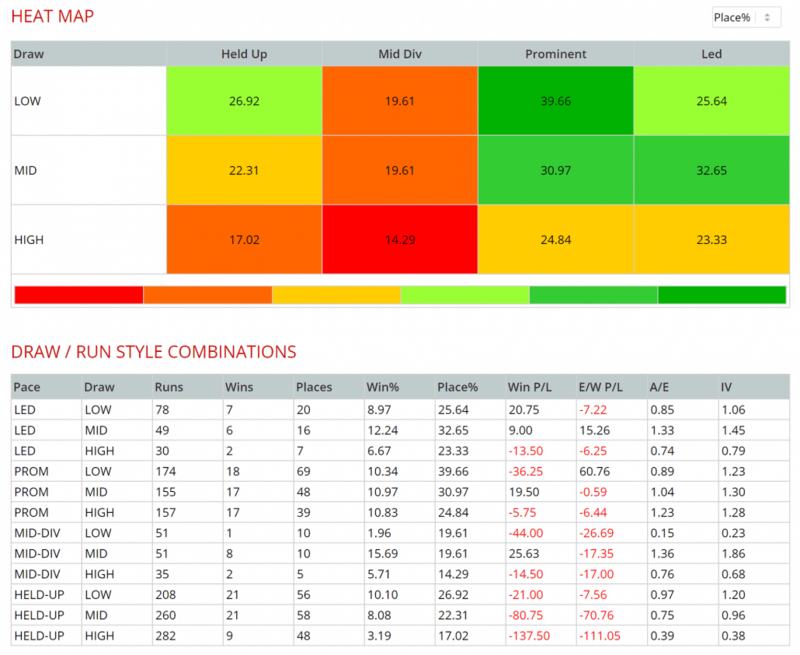 All data laid out in such a way that it's very easy to understand and has especially brought the pace of a race and the speed ratings to my attention when making my daily selections. Very good site and the help videos are easy to watch and digest as they are delivered so well. Helped me find some decent winners. The site is easy to use and is always improving. Probably one of my best decisions ever to join. Some great tips also, but if you like to find your own then all the info you will ever need is here. 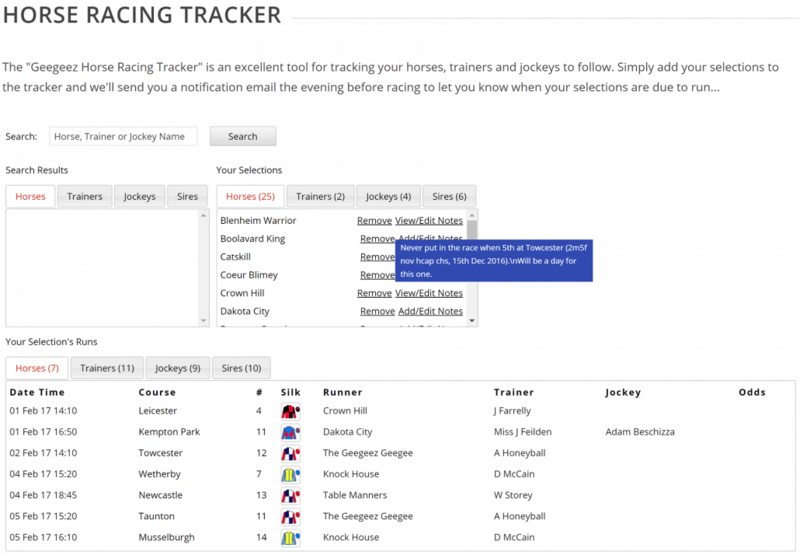 I don't normally do recommendations but have no hesitation in recommending Geegeez.co.uk. It's all there at your fingertips with no clutter - saves me hours!! 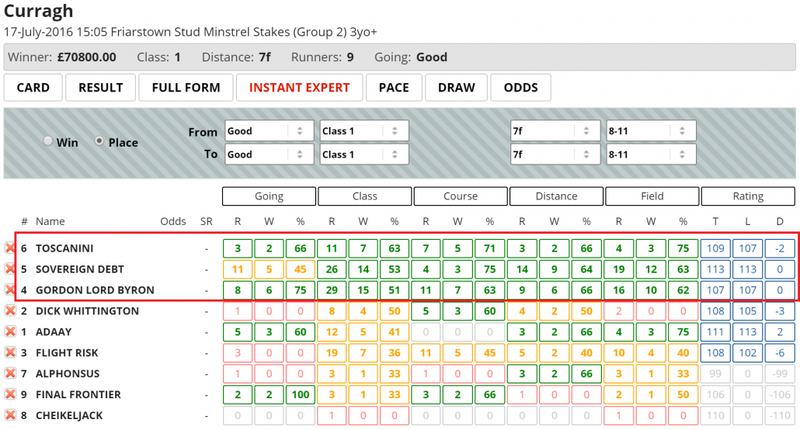 The draw heat map is a great addition to Geegeez Gold. I have far more confidence I can read a race correctly and have insight into both how pace and the draw work together. 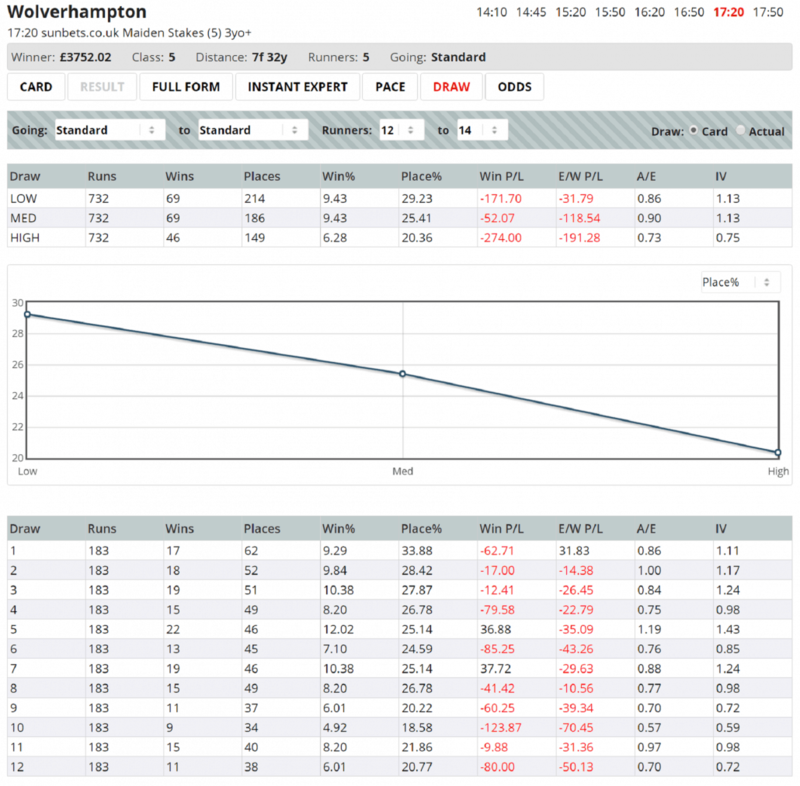 I have used raceform interactive, flatstats and proform racing and this latest addition is by far the best tool available. ....recently enjoyed success with Instant Expert, including a would you believe it 50p each way accumulator (6 horses) that yielded £650 !! I don't know how I ever managed without your service, you beat the Racing Post doing handstands. The new pace angles are terrific, as is the Instant Expert. As a Gold Subscriber, the form tools at my fingertips are fantastic and I've not seen them on any other site. I personally use Trainer/Jockey Combo, Shortlist and Instant Expert with much success and I'm only scratching the surface! Don't need to subscribe elsewhere, it's all here and more! 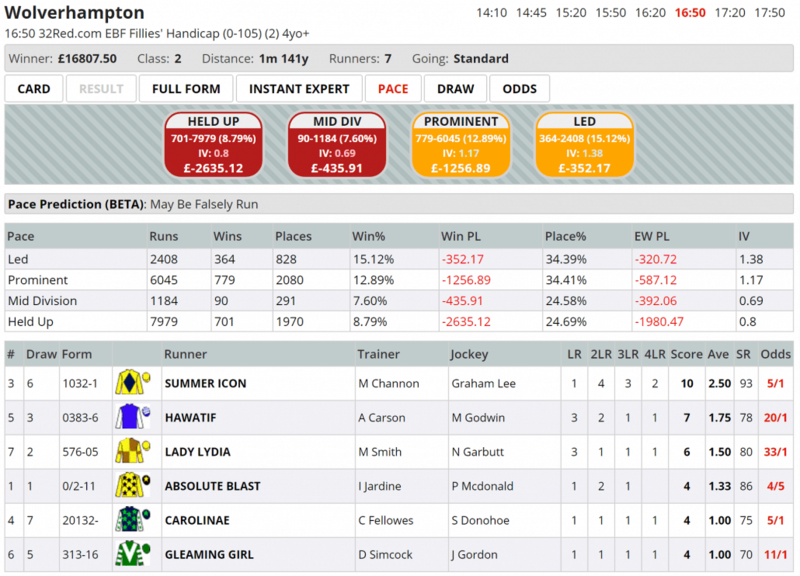 The single most useful tool on Geegeez is the traffic lights [Instant Expert]. A very quick way to shortlist a few races to look at in more depth. Closely followed by Full Form Filters once a race has been deemed worthy of further study. By now, you're probably wondering how much it costs to be a part of the Gold community. Geegeez Gold costs just £36 per month - little more than a pound a day - and represents excellent value when set next to comparable (but typically inferior) products which cost as much as £106/month. And if you already know you're going to love Gold, or are excited by what is possible in your trial, then I’ve got a really special offer for you. Commit to a year’s subscription and you’ll pay just £297 for a full twelve month’s access. Compare that £24.75 a month with the £206 I was paying monthly a few years ago, and the £100+ monthly fees some still charge, and I hope you’ll agree that this is a very (very!) big value offering. 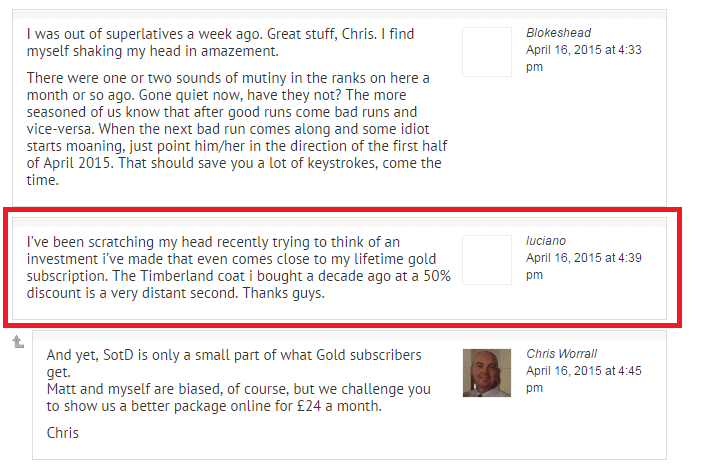 In fact, you can have full unfettered access to Gold for one year for about the same price I was paying for six weeks! We're very proud of the 'Pacman' pie charts showing how happy Gold subscribers are. But how will you know if Gold is for you? Well, by now I hope that you have a pretty good idea you’ll get on with it, and that it will move your horse racing betting up a gear. But I want to make it as easy as possible for you to put this brilliant tool kit to work for you. 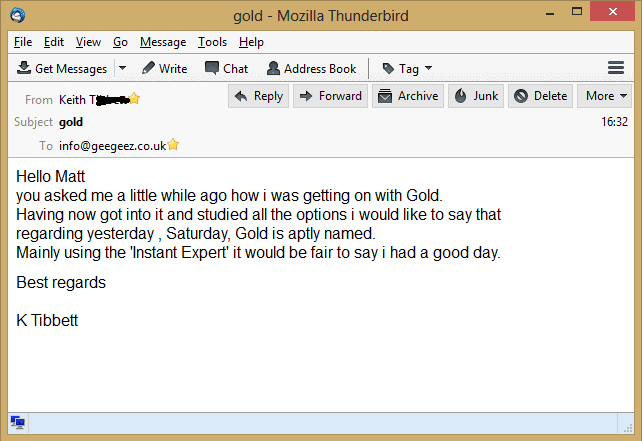 Take Geegeez Gold for a test drive for a whole month, for just £1. 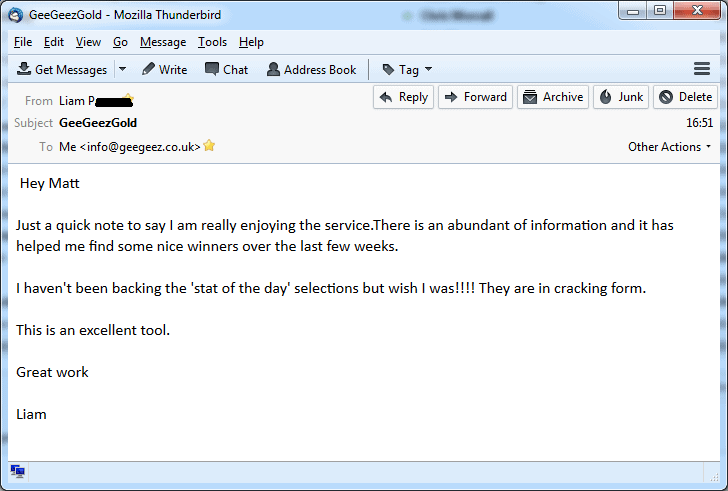 If you love it, do nothing and you’ll continue to enjoy the racecards, form tools, reports and tips at the normal rate. If it’s not for you, no problem. Just cancel your subscription at any time during the month, and you’ll never be billed again. 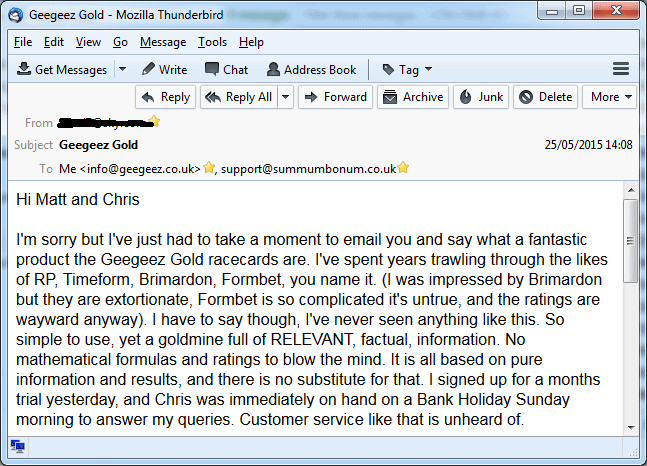 Heck, if you really can’t get on with Gold, drop me a line and I’ll even refund your pound! That’s how confident I am that you’re going to be wowed at what Gold has, and what it can do for you and for your betting. At this point you might be thinking that Gold is too involved for you. That’s natural. I mean, there is a heck of a lot packed in. But the key is to only use what you want to use. 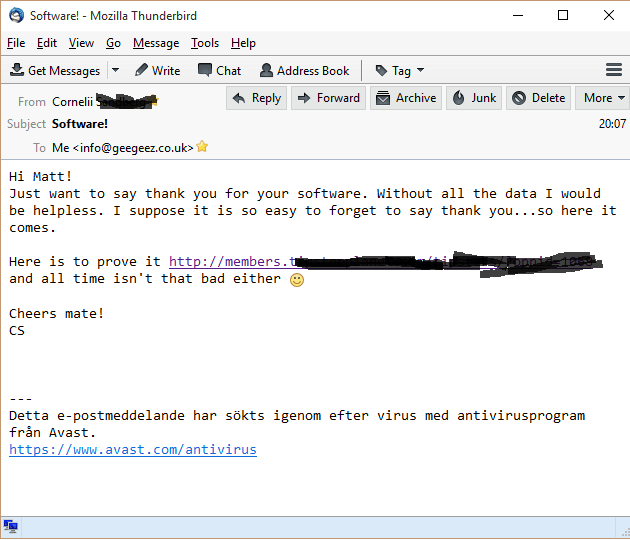 Nobody uses everything, every day – not even me! Just start off with baby steps and, when you have a bit more time, play around with some of the tools which may be less familiar to you. And don’t worry, there are video tutorials and help manuals for everything. If you do find something you’re not sure about, and it’s not covered in the tutorials, just ask us. We’ll get you straight back on track. Winning at betting on horse racing is about having more knowledge than the next guy. Geegeez Gold is your unfair advantage. It packs so much information into its easy-to-use, quick-to-navigate, intuitive layouts. 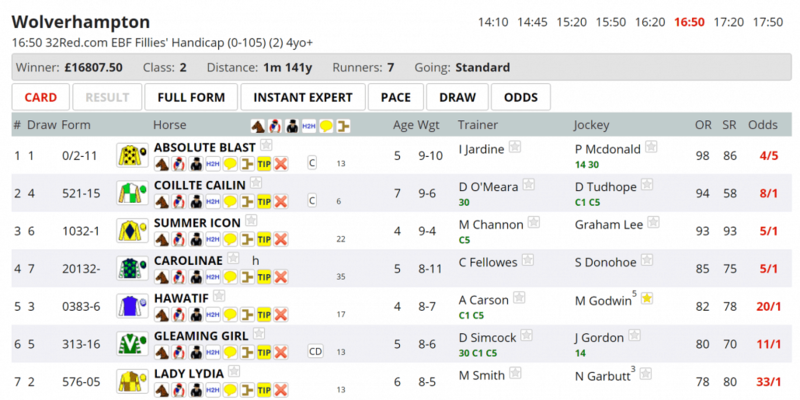 Put Geegeez Gold to work for you today, starting with your first month for just £1. One lucky subscriber wins £100 cash every month! (c) 2008-2016, Matt Bisogno, geegeez.co.uk and Summum Bonum Ltd. All rights reserved.